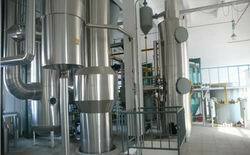 Oil bleaching is carried out before deodorization in an edible oil refinery. The process removes color, as well as residual phosphatides, metals and soaps. To do this, clay is added to the oil then heated, upon which it absorbs pigmentation. Lastly, the oil-clay mixture is filtered and the spent cake is dried to remove the oil. Oil and clay is mixed in a vacuum to remove the affects of air and to consume less clay. The clay's dosage is dispensed automatically according to the color requirement. 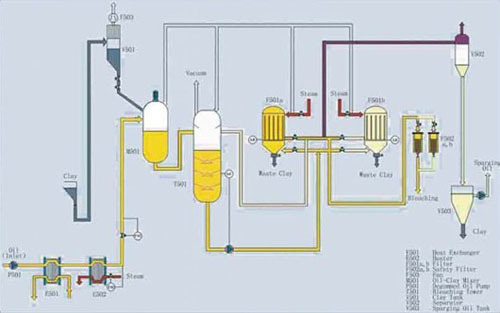 A continuous process ensures the clay's even contact with the oil. Bleached oil is flushed through closed stainless steel filtration discs for less residue in the meal. 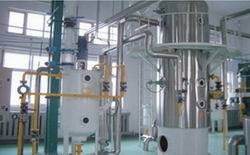 The filter is controlled automatically to simplify operation and to ensure stable production.